Venezuela is a country with many cacao-growing regions and an abundance of fine flavor cacao (from Criollo, Trinitario and other cacao beans). Some of the finest dark chocolates are produced from Venezuelan cacao. Today's single origin Venezuela 70% Cacao bar from Cello Chocolate (Nevada City, CA) had deep yet smooth dark flavor, with floral/vanilla notes and a slightly bitter finish (without the rough edge). 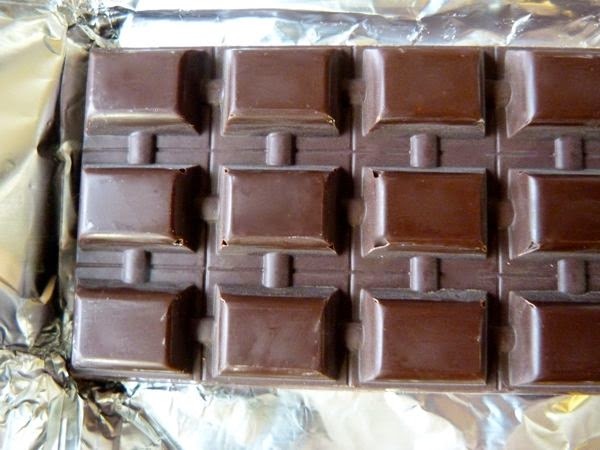 Cello Chocolate maker, Ned Russell (who has extensive chocolate making background, and also plays the cello), specializes in hand-crafting small batch, bean-to-bar, single origin chocolate bars -- made with cocoa beans*, sugar and cocoa butter. 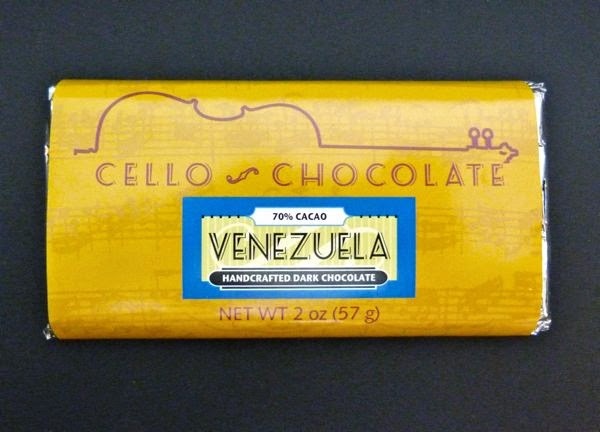 Today was Day #1 of Chocolate and Venezuela Theme Week. *Cacao beans were "ethically and sustainably traded."